Jeremiah Shingledecker’s first car was a Troyer so old, even Troyer couldn’t positively date it. Visit the HISTORY page to see all of Jeremiah’s cars. Jeremiah Shingledecker is celebrating his 20th racing season in 2016. It doesn’t seem possible that it’s been 20 years already. As 18 year old Jeremiah & his dad, Mike walked the pits of Mercer Raceway Park looking for a used racecar to buy, Jeremiah knew he wanted a modified. Family members such as Terry Wheeler, Leigh Wheeler, and Kevin Thompson were successful Stock Car drivers at the time, but there was no doubt Jeremiah wanted a modified. He and his dad ended up buying a car from Larry Johns. The car was a Troyer. It was so old that even Troyer couldn’t date it. The best guess is somewhere between 1978-1982. Knowing absolutely nothing about modifieds, Jeremiah quickly made that car his own, working in a garage that was so small you couldn’t walk the entire way around the car without going outside & coming in the other door. Jeremiah & his dad even had to raise the roll cage about 2” so his head didn’t stick out the top. He built new body panels outside in the snow from material provided by one of his first sponsors ever…..Flexospan of Sandy Lake, PA. The sponsor was obtained by his crew member, the late Lew Clayton. Lew was Jeremiah’s uncle & enjoyed all things auto-related. He even helped build Jeremiah’s first couple motors with Jeremiah’s dad. Even though green is supposedly an unlucky color in racing, it was Jeremiah’s favorite, so green & gold it was. Now it was time for the number (which was spray painted on the car with a homemade stencil). Jeremiah had already determined it would be 37md, in memory of his late brother, Michael. The summer before Michael died, he used # 37 for his demo derby car. Michael chose that number to honor his mom, who was 37 that year. Jeremiah borrowed 37 & added the “md” for “Michael’s Dream.” This is why Jeremiah has been “Living the Dream” all these years. Jeremiah racing at Lernerville 2015. People race for a variety of reasons……Jeremiah’s reason started as a way to heal himself and his family over the loss of a loved one. You see, the whole family is involved. Jeremiah’s dad, Mike has built every engine Jeremiah has ever raced. His mom, Patty has always been an important part of the team too, whether it’s making sure his fire suit is clean, the crew has food, or watching his 2 beautiful girls so he can race. In past years, Jeremiah’s younger brother, Travis helped lead the crew before jumping behind the wheel himself. After a long hiatus, Travis will be making his return to modified racing this year, so it will be an exciting year for the Shingledeckers. Travis will once again be running number 73md, also honoring his brother. Jeremiah’s wife even helps turn wrenches. Throughout his 20 year racing career, Jeremiah has lived “The American Dream” of racing. He started with little racing knowledge, not much money, but a strong will to succeed. He found a way to get it done. He started with an open trailer & his dad’s old blue Ford pickup truck. A few years later he upgraded to a “bread van” which was painted red with a can of Rustoleum paint & a roller. The official speed of that truck was, “Half the Speed of Smell.” After a 3 hour ride (each way) in that van, Grandad vowed, “Never Again.” You see, there weren’t enough seats, but Grandad never missed a race, so he rode in a fold-out camping chair all that way. He didn’t lie…..he never rode in that van again. Jeremiah’s American Dream grew stronger year-after-year. 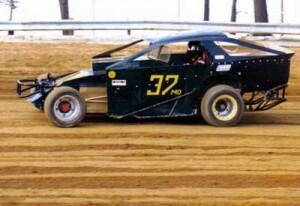 He eventually started winning races at Mercer with his West-Penn Modified, before jumping up to the Big Blocks. 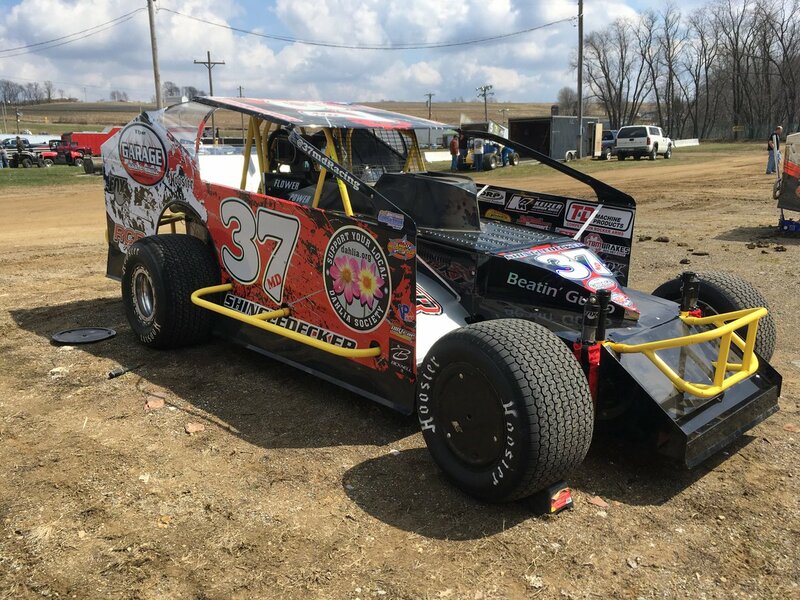 In the Big Block class, he has seen great success, winning a multitude of races at a variety of tracks, 4 Track Championships (2 at Tri-City & 2 at Lernerville), DIRTcar Regional Championship, & Walt Wimer’s Cavalcade Points. Starting with nothing, Jeremiah found his way to the top with the support of his family. He enjoys a great fan base that faithfully follow him, including his grandparents, in-laws, aunts, uncles, cousins, and a wide array of friends. His biggest fans are his 2 daughters, Mazy & Miah. It never ceases to amaze him of how many people show up to the races wearing 37md gear. It almost embarrasses him, but it makes him smile. The first win for any racer is always memorable, but Jeremiah has 3 others that are likely more memorable. 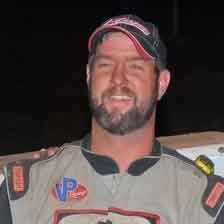 His 1st Big Block Win: it came on June 26, 2005 at Tri-City Speedway. It was one week after his wife, Lex won her first Power Puff race and one day after his brother, Travis won his first ever race at Mercer. Those 3 wins were enough to get the family a quick mention in Circle Track Magazine. Also at Tri-City, after mechanical issues, Travis was racing Jeremiah’s back-up car. Jeremiah pulled out a win but Travis was involved in a flip right at the finish line. As Jeremiah was giving his on-track speech from Victory Lane, he was looking at his other car still upside down. Somehow, Travis convinced the Safety Crew to allow him to go to Victory Lane to get his picture taken with Jeremiah before the automatic ride in the ambulance. Moments after the race, Jeremiah & Travis were informed their Grandfather had been Life-Flighted to the hospital with a heart attack. Their grandfather is also a former racer & made everyone promise NOT to tell the boys until after the race. The best part of the night was that everyone ended up being just fine. The first ever Track Championship was also a crazy night. 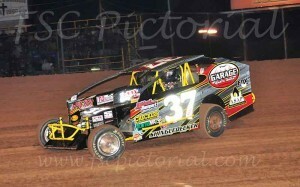 Jeremiah entered the Lernerville final race of 2009 in 3rd behind Brian Swartzlander and Kevin Bolland. There were no high hopes of a Championship, as it would take nothing short of a miracle……well, a Shingledecker miracle it was. Swartzlander got tangled up in 2 wrecks & Jeremiah won the race by enough spots over Bolland to win it all. Jeremiah had no idea he had just claimed his 1st ever Track Championship, so it was great surprise. 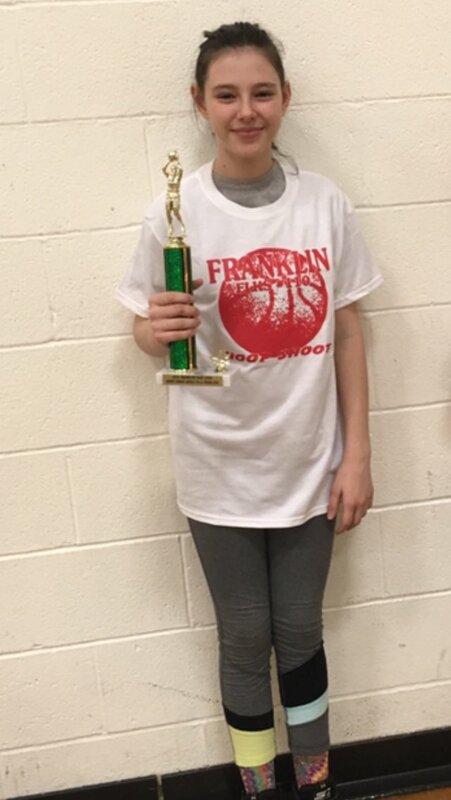 Two days later, Jeremiah also claimed the Tri-City Championship. Even though the last couple years haven’t been a great success on the track for Jeremiah, he is geared up & ready to turn things around in 2016 & get back to Victory Lane. He knows he can’t do it without the help of his family, friends, and sponsors. Jeremiah would like to thank all present & past sponsors and crew that have enabled him to “Live the Dream” for 20 years. Apologies in advance if anyone was left out. Papa & Gram Shingledecker for never missing a race! G’momma & Puppi Emrick for attending as many as possible & for helping with the girls.